Several hundred more tweets about today's attack can be found on Twitter using #petya. The new Petya variant appears to be using the MS17-010 Eternal Blue exploit to propagate. Still no official word on the initial infection vector in today's attacks. People everywhere are saying today's activity is similar to last month's WannaCry ransomware attacks. 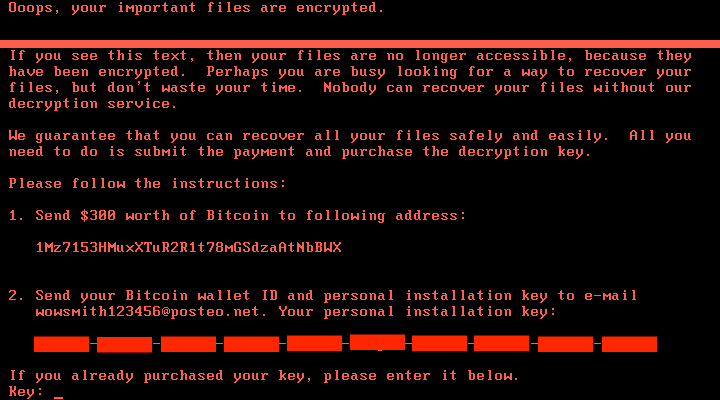 Petya is a ransomware family that works by modifying the infected Windows system's Master Boot Record (MBR). Using rundll32.exe with #1 as the DLL entry point, I was able to infect hosts in my lab with the above two DLL samples. The reboot didn't occur right away. However, when it did, my infected host did a CHKDSK after rebooting. Shown above: An infected host immediately after rebooting. After CHKDSK finished, the infected Windows host's modified MBR prevented Windows from loading. Instead, the infected host displayed a ransom message. Shown above: The ransom note from a compromised system. Samples of the new Petya variant appear to have WMI command-line (WMIC) functionality. Others have confirmed this variant spreads over Windows SMB and is reportedly using the EternalBlue exploit tool, which exploits CVE-2017-0144 and was originally released by the Shadow Brokers group in April 2017. 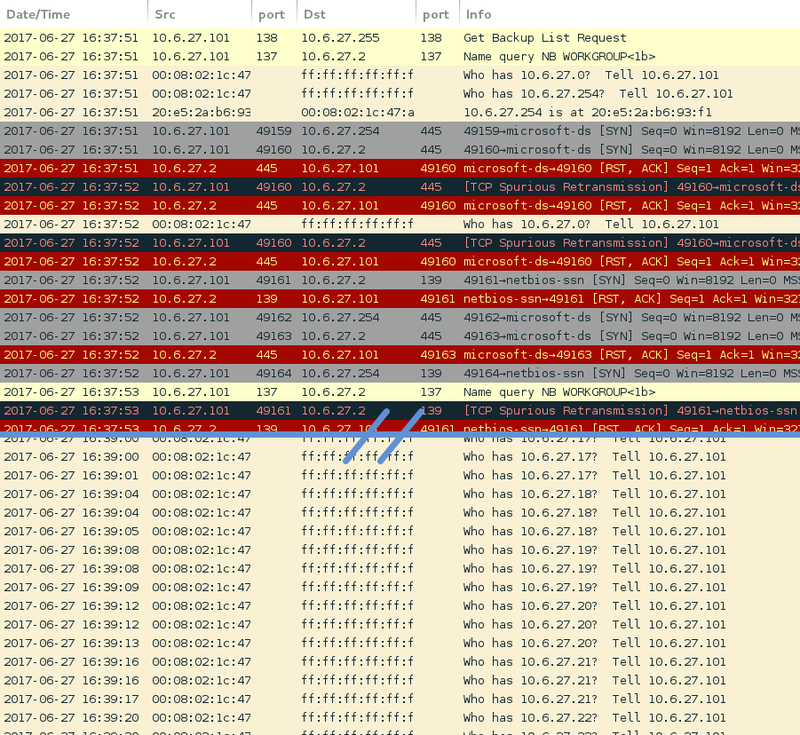 My infected Windows hosts immediately generated TCP traffic on port 445 and did ARP requests for local network hosts. Shown above: Some of the traffic noted in my lab environment. Keep in mind this is a new variant of Petya ransomware. I'm still seeing samples of the regular Petya ransomware submitted to places like VirusTotal and other locations. From what we can tell, those previous versions of Petya are not related to today's attacks. Shown above: Difference in ransomware notes between the old and new Petya variants. 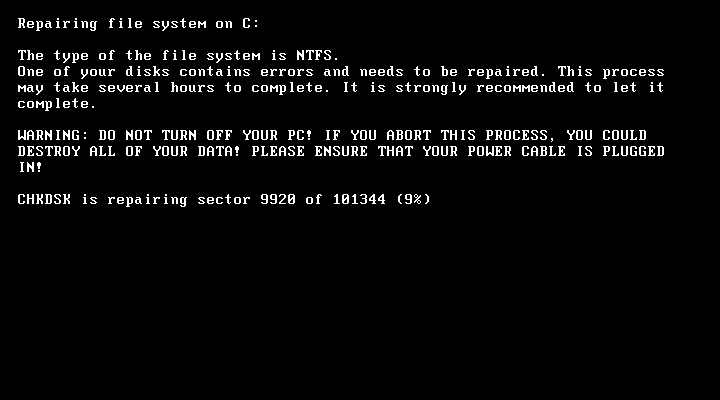 There are reports that the CHKDSK screen is fake, put up to mask the encryption of files.